Archery has been both used in the past and in recent times. There are reasons why it still thrives today. In the past, archery is considered to be an essential skill learned by individuals for purposes like military and hunting. Today, it evolves into something else. Before the time of firearms, archery was one of the major ways on how to eliminate an enemy or an animal, but today, our world has become more civilized and does not need any brutal wars or serious hunting like before. Now, although archery is still retained, it has a different purpose already. Archery has become more like a sport, a recreational activity, or perhaps a skill learned by enthusiasts solely because of interest. What has become of archery today? Has is become well or has it become unaligned with its original meaning? What is really the difference between the traditional way of using the bow and arrow and the modern way of exercising this deadly weapon? In a time wherein details were not yet fully established, archery was just seen as simply using a bow and arrow without all those sport rules that people must abide today. Archery back then was simply used for increasing a person’s survival rate, so it must be done precisely and in a correct manner. 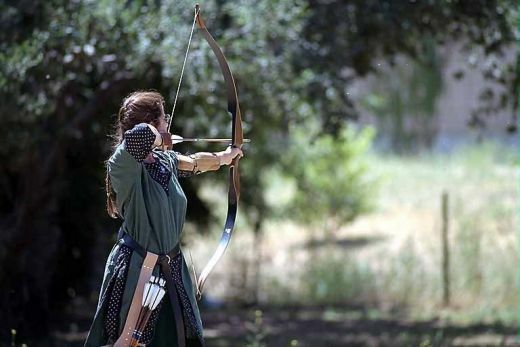 Bows and arrows are certainly considered to be one of the oldest weapons that deal with projectile motions. This weapon has been really around for quite some time now. Originally, this was used to solely let a hunter catch its prey; but soon as the Middle Ages came in, it was introduced in the army. Back then, these weapons were seen as an advantage, especially in a long range combat because it is easier and does not require a great amount to train an individual. Also, aside from its advantageous range, it is certainly easy to make. Of course, everything has a weakness, and although the bow and the arrow seem like a great weapon to use, it also contains a weakness to it. During those wars, archers are definitely seen as a threat in a long range combat, but when in close range, they will have a hard time defending themselves. Basically, archery was created before firstly because people need to hunt for their food and defend themselves from the predators that might possibly harm or kill them. Soon, when they found out how deadly this weapon can be, they managed to upgrade and find ways to improve archery to bring down more foes. Since our time today does not necessarily need to hunt just to find food, and since we are in a world we are in is more civilized to prevent unnecessary wars to occur, archery has left its first purpose on why it is created. 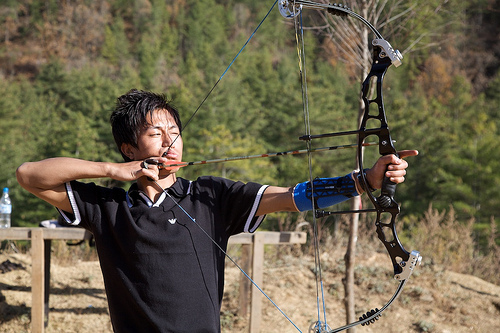 Although time has changed, and archery is not seen as before, the new ways of using archery is still accepted. Things truly evolve, and archery is one of them. Today, the use of bows and arrows are pretty much seen during hunting games, when attending sports movements, or when it is seen as an activity for recreational purposes. Many people today are still following and are using the bow and the arrow, but not like before. Even if this is the case, all those important skills are still retained and some are even improved. 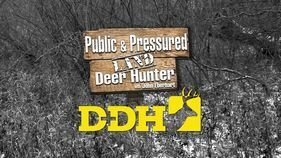 There is no point in comparing the difference of the past and the future use of archery. Truly, even if both present and past may have different reasons, the essence of archery is still present are is still intact. The usage of the bow and the arrow is still the same even if the reasons are varied. There may be a huge difference between the two, but it does not matter at all. Both are seen as definitely beneficial for both people in the past and people living in the present. As long as it does to good for everyone, then there is no reason to stop it.